We all know that the World Series of Poker Main Event final table is approaching and its approaching very fast. This is now the time for the participants of the final table to start focusing really on nothing but the final table, because lets face it, there is $9 million at stake here. Well we can update you on at least one final table participant on what he is doing to try and get himself ready for this monumental event. 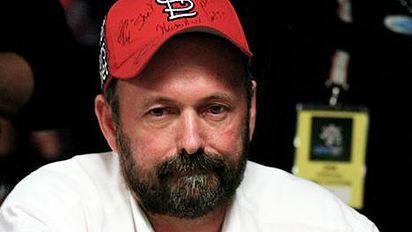 Dennis Phillips, who is going into the World Series of Poker Main Event final table as the chip leader, is working along with the famous Hard Rock Casino in Las Vegas, NV to set up a tournament to try and further his skills for a better shot at the World Series of Poker Main Event title. The tournament is going to be held on November 7th in the new Hard Rock Casino Poker Lounge. The format of the tournament is going ot be a $10,000 buy-in, a 20 player max shootout style tournament. That means two tables will start the tournament and each table will play down to one winner, there will be no combining tables. After the tables are down to one player, both table winners will come together to play a heads up match. The payout structure will be set up so each table winner will receive $50,000 and the winner of the heads up match will receive almost $150,000.